Joomla! has formed a partnership with SiteGround web hosting company for its official demo hosting and its new Free Joomla! Hosting option. The partnership is expected to increase the number of new users to Joomla! by making it easier to get started. Joomla! recently announced the release of Joomla! 3.3.1. This is a maintenance release for the 3.x series of the Joomla! 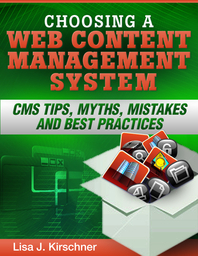 CMS. If you are currently running a Joomla! release on a server with PHP 5.3.10 or later, you are encouraged to update immediately to Joomla! 3.3.1 via either the one-click update or the update downloads available at http://www.joomla.org/download.html. The Joomla! Project and the Production Leadership Team recently announced the release of Joomla! 3.2.4 and 3.3, the latest releases of the 3.x release series. The Joomla! World Conference returns for the third consecutive year, bringing together the worldwide Joomla! Community for three days of learning, connecting, and sharing. Are you having trouble choosing a content management system such as Wordpress, Joomla or Hubspot? The Joomla team has announced the release of Joomla! 3.2.3 which is a security release and also resolves a significant number of issues and bugs.